Are you looking for an Avon sales, discount, voucher code or deal? Here are the best shared by our community of bargain hunters. Avon is the company that for more than 125 years has stood for beauty, innovation, optimism and, above all, for women. The company is founded in 1986 by David H. McConnell and operates as a direct selling company in beauty, household, and personal care categories. Avon Products is a multi-level marketing company and uses both door to door sales people called Avon ladies and brochures to advertise its products. The very first Avon lady was Persis Foster Eames Albee. The company operates training centers for potential representatives. Some of their training centers have a small retail section with skin care products, such as creams, serums, makeup, and washes. They use their multi-level business model to recruit sales representatives, who sell beauty products, jewelry, accessories and clothing. Their annual revenue amounts to $9 billion and has products that are sold through 6 million active independent Avon Sales Representatives worldwide. Avon representatives are considered an independent sales representatives running her or his own business. Some of the brand-names used by the company include Avon, Avon Naturals, Skin-So-Soft and Mark. Here at Latest Deals you can find the best and the latest Avon sales, discounts, voucher codes and coupon codes posted every month by our community of bargain hunters! Guest beauty blogger MissBudgetBeauty has filmed a great little guide to treats she's taking on holiday. You can shop the Avon Brochure 4 collection online or from an Avon Representative near you. 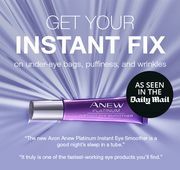 Find your local Representative: http://www.avon.uk.com/find. Tom’s Tip: Don’t miss out their great offers on their Clearance section where you can get up to 83% off on select lines! it’s truly a huge sale on fashion and beauty! How do I contact Avon? For enquiries and questions you can fill up their Online Contact Form. You may email them at uk.contact@avon.com. What are the delivery options for Avon? Free personalised delivery service (within a defined area). Delivery time is usually 5-15 business days. Your Representative will contact you to confirm price, arrange delivery time, location and payment. You can contact your Representative at any time with queries about your order. Delivery Time: Order delivered within 5 working days from dispatch. Delivery Time: Orders placed before 1pm (Monday to Friday excluding bank and public holidays) delivered the next working day. All orders placed after 1pm we will endeavour to dispatch within 2 working days. Delivery Time: Order delivered will be delivered to BFPO London within 5 working days of dispatch. Onward delivery handled via the military sort centre. They deliver throughout the United Kingdom (including Northern Ireland, Isle of Anglesey, Isle of Wight, Scilly Isles and The Scottish Islands). Delivery Time: Orders delivered within 3-5 working days. How do I return an item to Avon? You can return your item for an exchange or a refund within 28 days of delivery. Returns your products via the original delivery method. Products should be returned unused, unopened, still in the original packaging and in a re-saleable condition. Contact your Representative directly to arrange your refund and return for products bought at your local online Representatives. Your credit/debit card will be credited once they’ve received and processed your return. The credit may not show up on the very next statement you receive in the mail unless it is within your credit/debit card company’s billing or statement cycle, but it should appear on the next one.